Spring is a time of light nights in the Highlands of Scotland. Late June and the arrival of the Summer solstice means that the sun sets at 22:19 giving us 18 hours of daylight. It doesn’t get properly dark until after midnight and even then the sky has a tinge of light. All this daylight is wonderful for the diurnal birds and animals. Long days means finding food for a growing family becomes an easier task. But this is not so for nocturnal animals, such as the Badger. 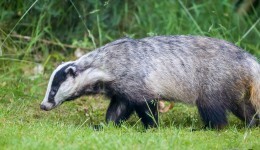 Summer weather and shorter nights make summer a difficult time for Badgers. 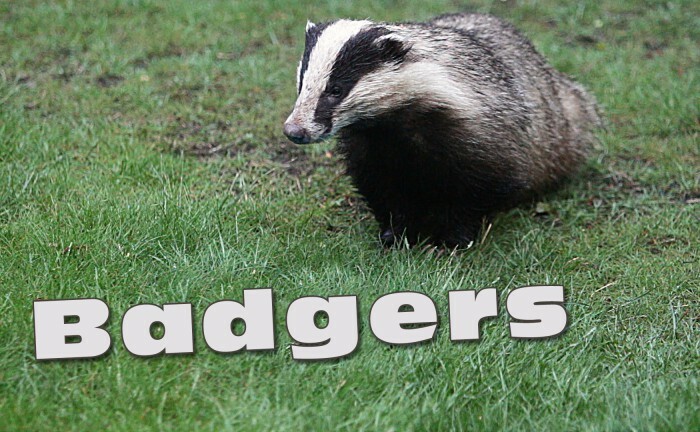 Badgers are omnivores, which means their diet encompass a wide range of plants and animals. To be absolutely correct they are opportunistic omnivores. 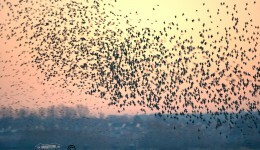 They will leave their set at dusk each night to start to forage, returning before sun up. Their diet is mainly earthworms and other large insects, but they are highly adaptable and can make a meal out of almost anything. But foraging for enough food takes time and in the spring, darkness is in limited supply. Put this together with a dry spell and the ground becomes baked hard forcing earthworms from the surface deeper into the soil. What makes life difficult for the Badgers gives us a rare opportunity. Every night we put out food for our local Badgers. This consists of a special mix which basically contains dry dog food, along with fruit and peanuts. It supposedly gives them a balanced nutrition they wouldn’t get from just peanuts. In truth it’s the peanuts that get eaten in preference to anything else in the mix. Only after all the peanuts are gone do they come back and finish off the rest. Along with the “special” mix we also throw a handful of peanuts out over the grass. The amount of food we put out is small. We are not trying to become their main source of food. What we are trying to do is to help. If the calories we provide helps them to go out and hunt for natural food then we are doing it right. Hopefully our contributions help them in the hard times, but not enough that they become totally reliant on us for food. Oh yes the rare opportunity I was talking about, before I started on the menu options and healthy eating. Normally the Badgers visit after dark. We have outside lights the Badgers are accustomed to so we can watch the nightly spectacle of wild Badgers just a few feet away. Come the lighter nights the Badgers come in before sun set. And we get the all too rare treat to see, photograph and film them in daylight. This surely must be what spring is all about.